Alan J. Pollack, has been in Immigration practice in both New Jersey and New York for over 21 years. 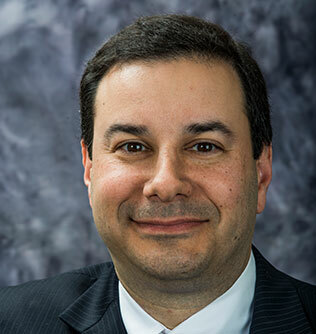 He is a recent Past Chair of the New Jersey Chapter of the American Immigration Lawyers Association (AILA) which is a the national association of Immigration Attorneys with over 12,000 members nationally/internationally. He currently serves as an Executive Committee Member (Secretary) of the Immigration Section of the New Jersey State Bar. Mr. Pollack is also on National AILA’s USCIS Field Office Operations Liaison Committee. Mr. Pollack currently is also an Adjunct Professor at Montclair State University where he teaches a course on Immigration Law and Politics. The firm was once again named Best Lawyers and Law Firm for the State of New Jersey (Immigration) by U.S. News & World Report 2016 (Tier 1) for the third year in a row. The Firm has also been accepted into the Bar Register of Preeminent Lawyers, the highest achievement possible under the Martindale Hubbell attorney ratings system. While Mr. Pollack practices in all areas of Immigration and Naturalization, he focuses on Business Immigration, I-9 compliance and complex family visa issues. Mr. Pollack has appeared on television and in the newspaper regarding Immigration issues, and has spoken both locally (NJICLE) and nationally (such as the AILA Annual Conference) on immigration issues, and has published articles on immigration topics. He has served as the Chair of a committee for the NY or NJ Chapter of AILA for many years, including the UPL, EOIR, Dept. of Labor and Ethics committees. He also served as a member of the National AILA UPL committee. He is admitted in both New York and New Jersey. Mr. Pollack has also appeared several times on local television on NBC News (Channel 4) discussing immigration issues. Mr. Pollack is experienced in Business Immigration as well as I-9 Compliance and Audit representation. He is also well-versed in family Immigration and deportation issues. His well-rounded experience in all areas of Immigration law allow him to build a comprehensive strategy for all Immigration cases that he represents, and he is often called upon to handle the more difficult and complicated Immigration cases. Mr. Pollack is Managing Partner of the firm. Robert Frank is a partner of the firm of Frank & Pollack, LLC in Newark, NJ. He is a past Chair of the New Jersey chapter of the American Immigration Lawyers Association (AILA), a professional organization that has more than 15,000 immigration attorney members nationally. Listed in Best Lawyers in America, he has been accorded the Martindale-Hubbell “AV Preeminent” rating, awarded for being an attorney of preeminent legal ability. Mr. Frank received the prestigious Sam Williamson Mentor Award from AILA at its National Conference in 1999. 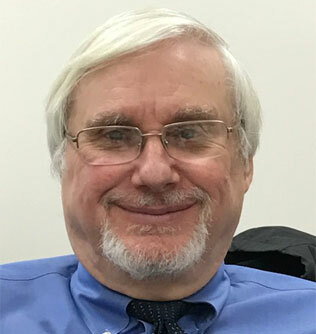 Mr. Frank has been an adjunct professor at Montclair State University and often lectures and writes for the New Jersey Institute for Continuing Legal Education in the area of Immigration Law. He is often consulted to give expert opinion testimony and advisory opinions on issues regarding Immigration Law. He is sought out by other attorneys and clients from across the country, and internationally. With over 40 years of experience in practice, Mr. Frank has a reputation for handling difficult cases in all facets of Immigration Law. Many of his cases have been published by courts including the Board of Immigration Appeals, United States Court of Appeals for the Third Circuit, United States District Court for the State of New Jersey, and the New Jersey State Supreme Court. He is well known for handling difficult Criminal Immigration matters and complex Naturalization cases. Mr. Frank previously chaired the Immigration Section of the New Jersey State Bar Association (NJSBA). He also was Vice Chair of the New Jersey chapter of the Federal Bar Association and Vice Chair of the AILA-INS Vermont Service Center Liaison Committee. He was Chair of the AILA National Consumer Protection Committee and served on the AILA EOIR National Liaison Committee. Mr. Frank was also a member of both the Unlawful Practice of Law and Minorities in the Profession Committees of the NJSBA. He has served as a member of the Board of Trustees of the New Jersey Immigration Policy Network and the Community Health Law Project. Mr. Frank, because of his reputation as a highly-respected immigration attorney, is regularly interviewed by the media regarding various aspects of immigration law and has appeared on ABC and CBS television as well as all of the major Spanish language stations. He also has been quoted in many newspapers, including the New York Times, Dallas Morning News, Los Angeles Times, and Newark Star Ledger. A former Fulbright Scholar, Mr. Frank is a graduate of Rutgers University and the Rutgers University School of Law. He is fluent in both Spanish and Portuguese. For those struggling with an immigration case for yourself or a loved one, contact our office to schedule a consultation with our New Jersey immigration lawyers.